It might be confusing of what is the difference between updating and upgrading of CMS version and sometimes you might mistakenly think that updating is the same as upgrading. Truth is, it’s not the same. Before we tackle the comparison, let’s understand what the numbers in the versions stand for. These numbers are generally assigned in ascending order. This sequence is used to identify the changes between the releases which are classified by their significance level and updates of its functions and features. Revisions are applicable to all applications and software. In this article, we will focus on CMS revision. Revision/Patch release – is intended for small changes or bug fixes with its current features or functions which is issued approximately every one to two months. Minor release – includes new functionalities without having a major function being affected which is issued multiple times in a year. Major release – uses a new system and new functionalities which may also mean a new interface will be used as well as system requirements of the application. This is issued approximately once a year. This involves revisions of a minor version or patch release. As explained above, this is intended for small changes, bug fixes and/or new functionalities. Before making any updates of the version, you need to make sure that you are able to follow all precautions before you proceed with the process. Some CMS may require you to put the website on under maintenance mode. 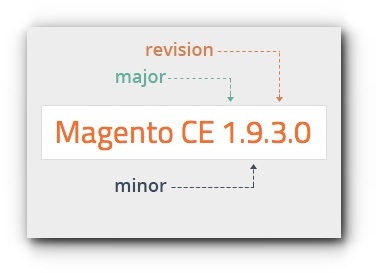 Create a staging site with the new major version release. Check the system requirements of the new major version and make sure it is compatible with your hosting package. Slowly migrate contents of your current website to the staging one. Backup website files and database files. Once the website migration is done and works perfectly, change the website URL to the correct one.